Maa Vaishno Devi is the manifestation of the Hindu Goddess Mahalakshmi who is divine mother of wealth & prosperity. Maa Vaishno Devi is the manifestation of the Hindu Goddess Mahalakshmi who is divine mother of wealth & prosperity. 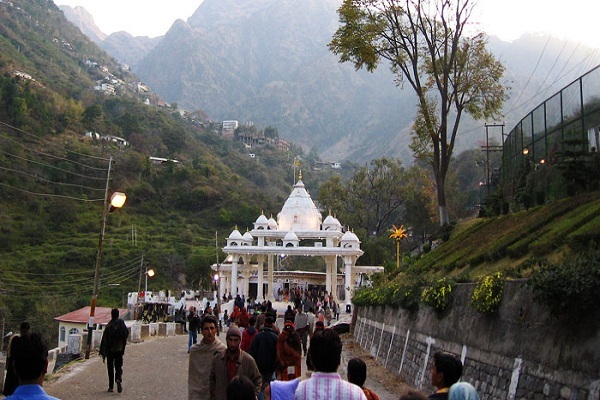 Vaishno Devi Mandir is the second most popular Hindu temple in India after Tirupati Balaji, dedicated to the divine godess, located at the Trikuta Mountains within the Indian state of Jammu and Kashmir. More than 10 million pilgrims visit this shrine every year. The word 'bulawa' means, a holy call received from the maa vaishno devi to see the devotee and bless him / her with eternal happiness & riches. Hindus believe that one cannot possibly have Darshan of Mata, unless she herself calls the devotees. 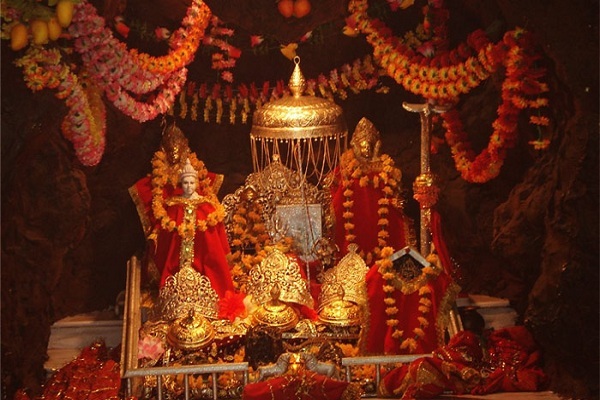 Maa vaishno devi is present in a holy cave in the form of 3 pindis. These pindis represent Maha Saraswati, Maha Lakshmi & Maha Kali. The pavitra darshan of these divine pindis fulfills all the desires of the pilgrims who reach the temple through a tough trekking route of 13kms straignt towards the top of the Trikuta mountain. The trek of 13 km can be completed in about 5 to 8 hours depending on the fitness and whether children are accompanying parents. Timings for Darshan in the Temple: The Bhawan, as the temple called by devotees, is open for darshan 365 days and the Shrine Board, the governing body of the Bhawan has made it possible to do the trek 24 by 7. The entire trekking path is lit up for devotees, some preferring to start the trek in the late evening to avoid the morning sun. The scintillating lit up path is visible from the Katra bus stand. The trek is divided into two parts. The first part of the trek up to Adkuwari is roughly half way at a distance of 7 km from Banganga starting check post. At Adkuwari the road to the Bhawan bifurcates into two. One road goes via Adkuwari while the second one goes via Himkoti. The pull of Mata is such that devotees travel from all corners of the world to receive blessing of Mata. And Mata is said to embrace and bless one and all, from the poorest and the weakest to the richest and the mightiest. 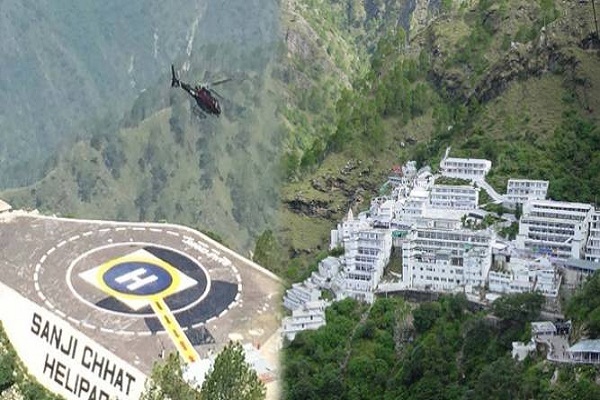 Vaishno Devi is the most widely visited shrine in North India and the second most visited shrine in the country after Tirupati Balaji. Visitors can reach Jammu by either of road, train or air route. There is effectively good connectivity available to Jammu from various parts of the country. Paid taxi and bus service is easily available from Jammu station to Katra. The trip from Jammu to Katra is full of mountain twist and turns and full of breath taking scenery. It takes nearly 2-3 hours to travel from Jammu to Katra. 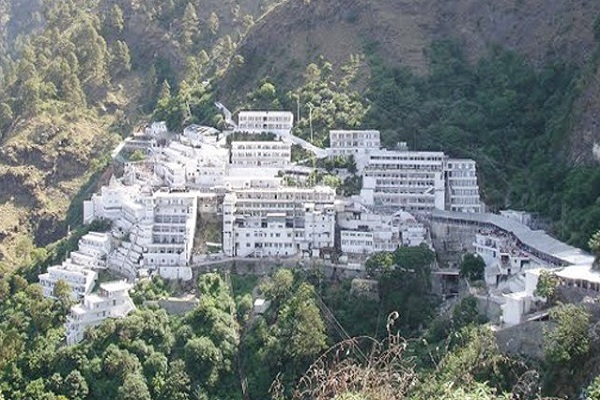 The trek from the Banganga check post in Katra to Mata’s Bhawan is an arduous 13 km long one. which can be completed by either Helicopter or on foot or by horses or palki. These days, even battery vehicles are also available for pilgrims to reach the bhawan. Its a go green initiative taken by shirne board recently in order to keep the entire path noice and air pollution free.